The last time I managed to write and post a piece on my blog was September 8. It’s been over four months since I’ve written. Around the time of my last post, my daughter’s nanny quit unceremoniously and without notice. Then I had to replace my phone and couldn’t get into my WordPress account, at one point fearing that I would have to abandon this blog altogether. And through it all, I just found myself devoid of any time, mental capacity and energy to sit, collect my thoughts and write my thoughts down. What I lacked in time and energy I more than made up for in inspiration and creative drive. Understand this: I have “written” a piece about some topic every single day since September 8—in my mind. I could be pushing the stroller to the park, washing the dishes or changing my daughter’s diaper when words begin to pour into my mind—titles, phrases and full paragraphs—language just shows up and grips my mind as if I’m in a trance. I’d panic. “Where is my notepad?” “Where is my tablet?” “Where is my phone?” “Quick! Open the WordPress app!” Then, reality would call. My daughter would begin protesting her diaper change, or lack of TV or would simply nag to have nagged . And I’d back to real life. I’d strive to hang on to the core idea and I’d try to keep the thread alive, to no avail. The words world disappear, lost forever in the deep dark well of the unwritten words. Frustration and discouragement would rear their ugly heads and I’d be left with nothing of what was so vivid just a few minutes before. As I write this, I’m nursing my 19-month-old daughter, who’s asleep in my arms. Yes, I’m still nursing my toddler. Yes, she sleeps on me most days. No, it’s not comfortable. No, I’m not going to move her. And, no, I have no idea how much longer this will go on. All I know is that I have a few moments to myself and I feel the need to begin writing again, before I become so discouraged that just give up on the thing I’m so passionate about. And what I want to say right here and right now is that I was wrong. I was wrong and I admit it. I want to own up to my mistakes. I want to out myself as an uninformed person. I was wrong in thinking that the universe had conspired against me when I was going through heaven and hell to become a mother, while everyone I knew kept getting pregnant and having kids. I was wrong when my broken heart found all the baby posts, fetus upsates and kid photos annoying and a personal affront to me. I was wrong when I felt I’d be able to simply do everything I wanted to do, with a baby in tow. I was wrong to think it cruel for people to constantly tell me that I shouldn’t be so sad over being childless, because having children was so hard. I was wrong! I don’t regret a single thought, because to do that is to judge the woman who went through so much, just for a chance to be mother. To regret is to judge her for being lost and heartbroken and simply unaware. But, in order to heal as much as one can heal from the deep wounds of prolonged infertility (for me, it was 7 years), I must look back with the knowledge and experience of the last 19 months and admit some things and let go of the grief, as much as possible. Life didn’t go the way I imagined. I didn’t get to be a mom at 38, 39, 40 or even 42. I got my baby at 45— a fact I am painfully aware of every night, when I drag my aching body into bed, doubting my ability to get up and do it all over again in the morning and wondering how this feels to those who are 5, 10 and 20 years younger than me. And I won’t get to give my daughter a sibling, a reality that breaks my heart each time I confront it. I don’t get to join mommy groups and instantly fit in with women who just don’t carry as much baggage as I do about motherhood. And all this can make a person resentful, or mad or even sadder than before. 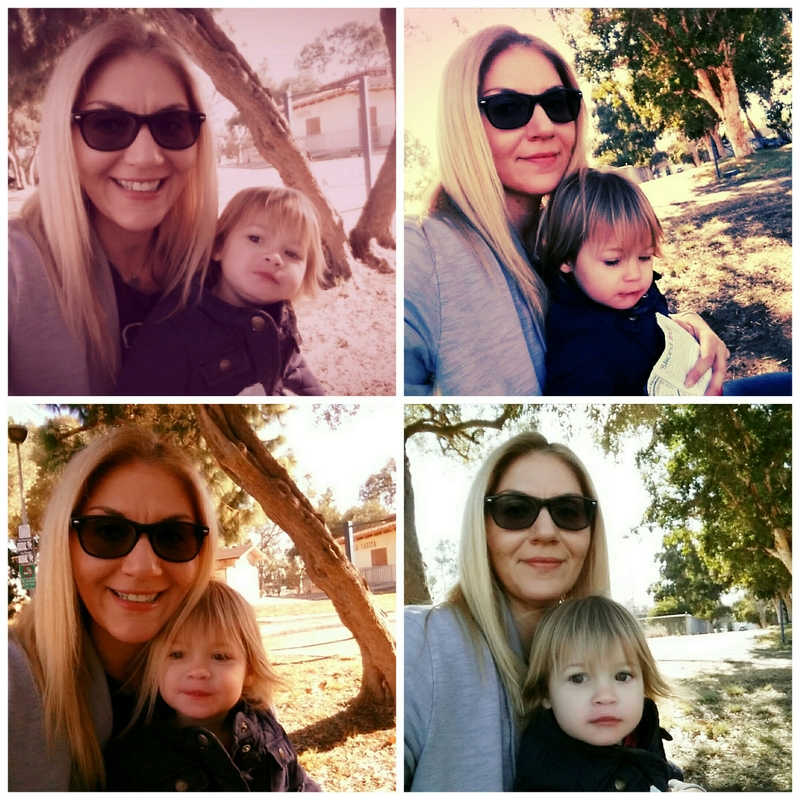 Infertility didn’t disappear from my life once I became a mom. It lives in my house and will shape my family forever, whether I like it or not. But, I want to let go as much of the pain as I can and move forward. I want to resolve all that can be resolved and I want to let go of all that can be left behind. So, I make the admission that I was wrong and with that, I leave some of the weight I’ve been carrying for nearly 10 years. So, this is how I begin blogging again. My “comeback”. My return. It’s dedicated to letting go of what I can and focus on life, as it is now—warts and all. I am the mother to a dream come true, an impossiblity. I have the privilege of raising a bright, happy, healthy amazing little girl who’s recently started to look into my face, smile and say “mamma” with love in her eyes. I am twice as old as many moms I meet, and many time a novice. I was wrong about a lot of things and I misjudged a lot of people and situations. But I am a damned good mom, a true friend and a loving human being and I am worthy of everything I’ve achieved and everyone who loves and supports me. Imperfections and all, I am one heck of a person and if you have me in your corner, you’re lucky because I don’t give up on you—ever. Life didn’t unfold as I assumed. I didn’t unfold as I had hoped. People didn’t treat me as I wished. Nothing is under my control and it’s hard to accept that. But it is what it is. And I’m going to be fine. Don’t call it a comeback. Call it a reawakening. This entry was posted in baby, Bébé, Birth, Create Yourself, IF, Kids, Life Lessons, Life with baby, motherhood, Paris, Pregnancy and tagged awakening, honesty, infertility., life, parenthood, wisdom. Bookmark the permalink. Azizam, you know that all these days will go sooooooo fast . One day you really want to lay down and just relax for few seconds wile your daughter is in your arms. And you realize it won’t happen anymore. These days are the best days and you are lucky that you are 45 and can feel it with all of your molecules. And you are more patient than a mom who is 10 years younger. You’ll see in future your daughter has better manner than other kids in her same age with younger parents. And I’m waiting for the day that you and me are sitting and drinking and talking about how fast those golden days gone!